How long will it take you to hit one of the 720 winning combinations? The best Slot games are those where you don't need to sweat every win. And that's exactly what Chumba's Dragon's River is about. Available right now on Chumba Casino, this new Slot machine comes with everything you need to have fun and enjoy some good wins. 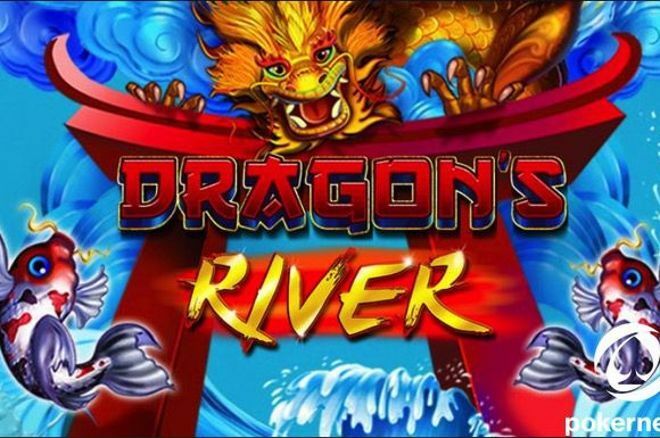 Packed with features that make it one of the top games available at Chumba right now, Dragon's River is an Asian-themed Slot machine game with five reels and no less than 720 winning combinations. Presented as "one of [their] most exciting slots games yet," this Slot game is a journey to the core of China's mythology. You only need to spin the reels once to be catapulted to a dimension where magic carps swim under the vigilant eyes of enchanted dragons. 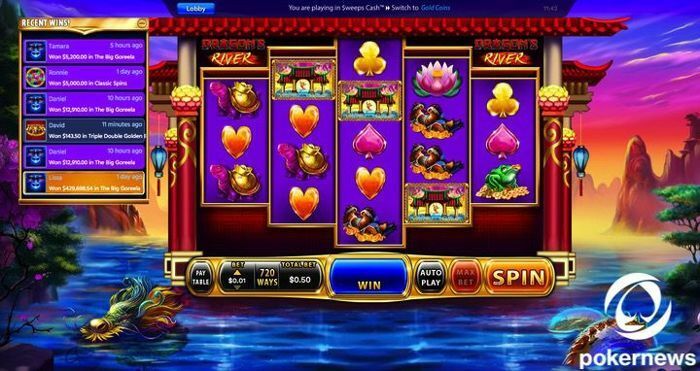 All wins on Dragon's River pay left-to-right and also right-to-left, making it one of the best Casino games you can play right now. The bets start at 12,500 Gold Coins and go all the way up to an impressive maximum of 5,000,000 Gold Coins per spin. Do you play with $weep Cash? In this case, the minimum bet is set at $.50 while the maximum one is of $25.00. Like all the other games on their platform, Dragon's River is available to US players and you can find it exclusively at Chumba Casino. Known to be one of the most popular social gaming sites this year, Chumba Casino is home to some of the best Casino games US players can find online. You can play all the games at Chumba with two different currencies: Gold Coins and $weeps. The latter, in some special circumstances, can also be exchanged for real money prizes. In October 2018, all new players at Chumba receive a free welcome bonus package consisting of 2,000 Gold Coins and $2 Sweeps. According to the CasinoSmash Index, Chumba Casino is the top legal social gambling site available to US players. Jackpot 6000 Slot Machine: Play with 5,000 FREE Credits! Game of Thrones Slot Online: Which Version Should You Play?